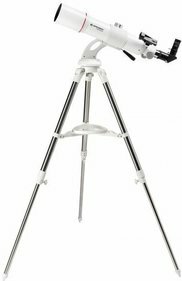 The lightweight Bresser Messier AR-80/640 AZ Nano telescope is a refractor telescope which is very suitable for the beginning astronomer. Thanks to the weight of almost 6 kg, the refactor is light enough to take anywhere with you. Do you live in an environment where there is a lot of light pollution? Then you can easily take the telescope with you to observe a night sky at a different spot with less light pollution. 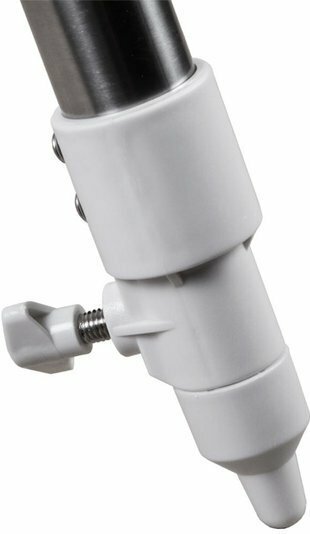 In addition to the included stainless steel tripod, several accessories are supplied. 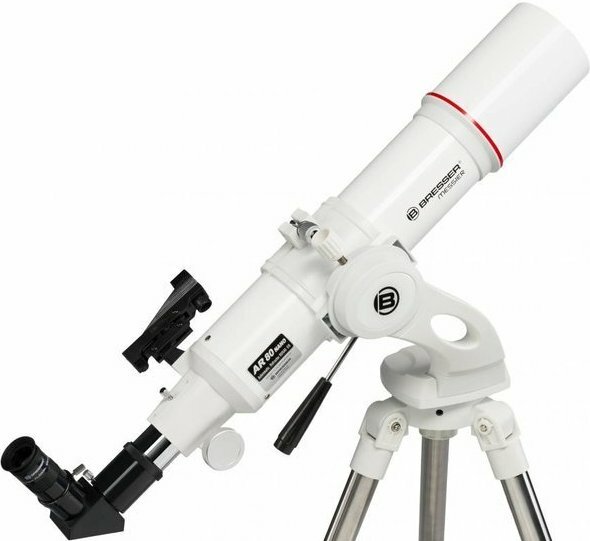 For example, the lens telescope is supplied with a red dot finder, with which you can easily look up the celestial bodies to be observed. 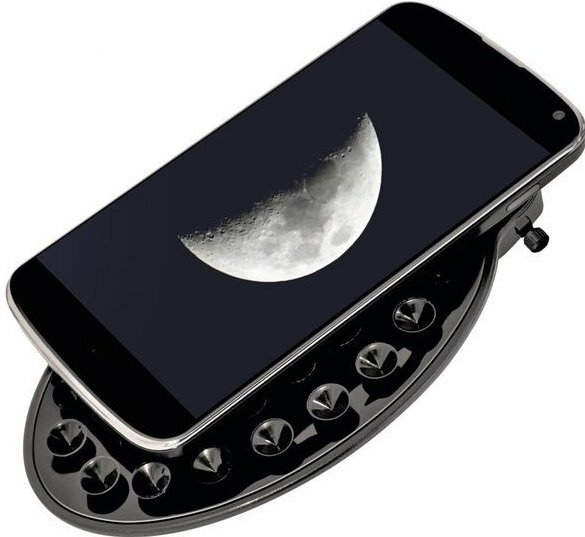 A smartphone adapter is also included, so that you can capture the sky observations directly with your phone. 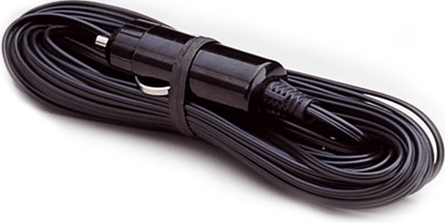 In addition to these accessories, several accessories are included, including a camera adapter ring. 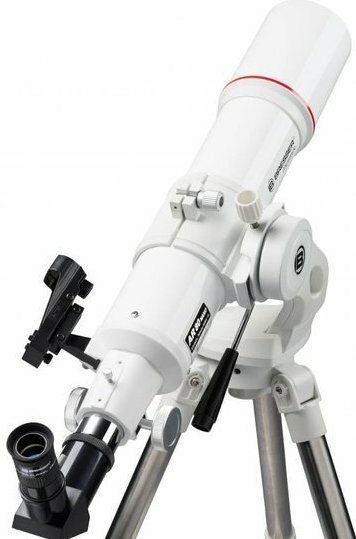 The Bresser Messier Nano refractor telescope has an objective diameter of 80 millimeters, and has a relatively short focal length of 640 millimeters. This makes the telescope very suitable for moon observations and planetary observations. 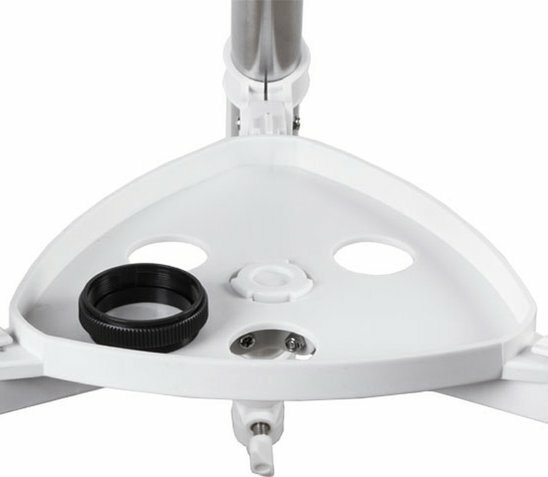 Because the lens telescope is delivered almost completely pre-assembled, you can immediately start observing the night sky. 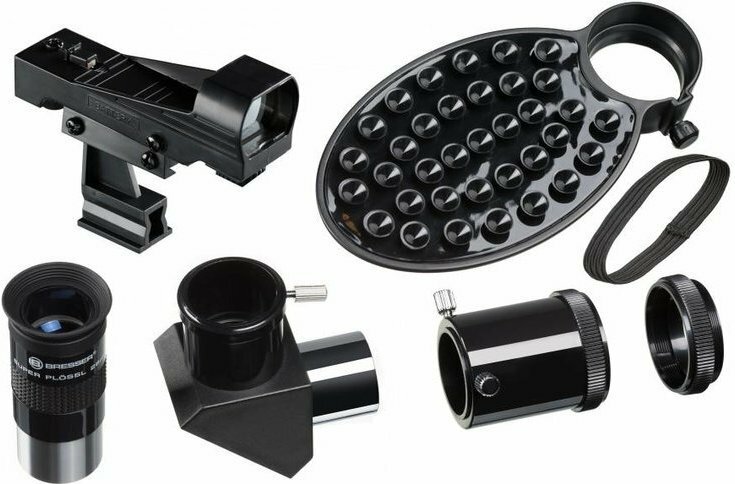 Thanks to the low level of difficulty, this telescope is especially suitable for beginners and children, if accompanied. 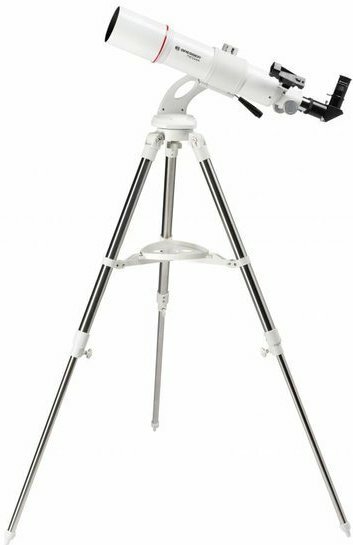 I chose this telescope because it was recommended by the Sky at Night as a good starter scope. When it arrived I was impressed by the build quality and the optics. I was less impressed by the instructions/manual both with the scope and on line. 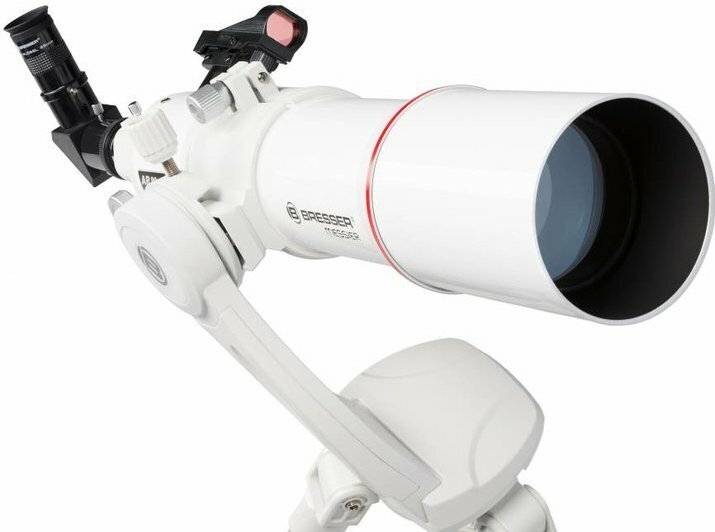 Additionally, the red dot finder works well by day and imaging the Moon but is far too bright, even at the lowest setting, to easily find even the brightest stars.